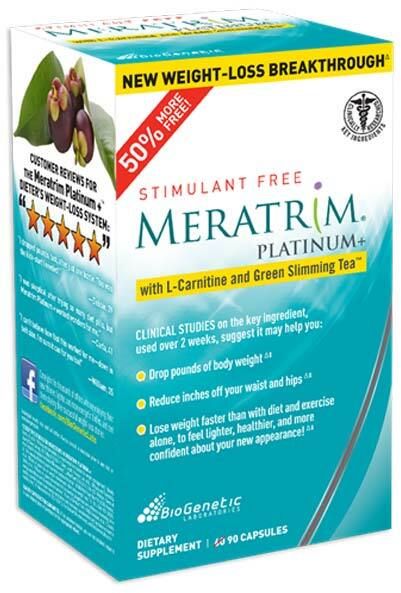 Meratrim™ – a proprietary blend of two plant extracts – looks like the next weight loss supplement to rocket to fame and fortune, thanks to its exposure on the Dr Oz show, and to a lesser extent, a feature in Woman’s World magazine. Dr. Oz regularly features weight loss supplements on his popular television show and we’ve reviewed many of them; green coffee, African mango, Satiereal, raspberry ketones, and Garcinia cambogia. To date, Oz’s breathless recommendations have rarely stood up to close scrutiny. We’ve found that the clinical data used as the basis for his recommendations is often inconclusive, preliminary, plagued by conflicts of interest or methodological issues, or just plain contradictory. For example, Oz recently called Garcinia cambogia the “newest, fastest fat buster” despite clinical evidence published over 15 years ago showing it clearly didn’t work. That said, we always take a LOT of interest in anything featured on his show, simply because of the influence he has over the general public. Not surprising then, is our interest in this product. So let’s talk a little bit about it. It’s a proprietary extract of two plants: Garcinia mangostana and Sphaeranthus indicus. 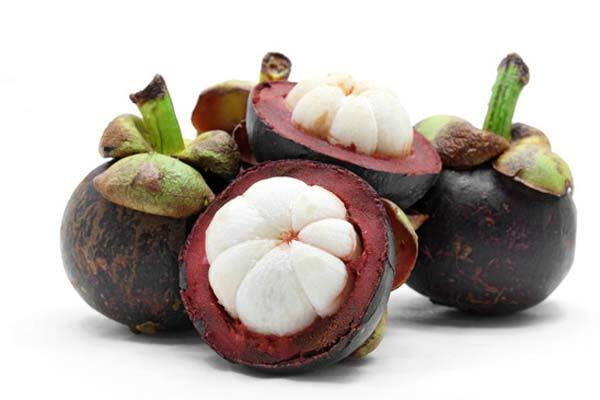 Garcinia mangostana is a fruit – you may know it as “mangosteen“, which was the “hot” superfood a few years back. In this case, it’s the rind that is used to create the extract for this blend. Sphaeranthus indicus is a flowering plant in the daisy family. The flower heads are used to make the extract. Does Meratrim™ Actually Work for Weight Loss? The answer seems to be a “conditional” yes. Meratrim™ is backed by a couple of peer-reviewed, placebo-controlled studies (both studies were conducted by the same people. It would have been more valuable had two different groups of researchers reached the same conclusion). You can review the study abstracts for yourself here and here! It’s worth noting, however, that these are not two separate studies of 60 and 100 people… rather, they’re overlapping studies of 60 people; and (the same) 60 people, pooled with an additional 40 subjects from another (previously unpublished) clinical trial. Thus, the second study, linked below, summarizes the results nicely. As far as most studies for nutritional supplements go, this one is not bad; there were 100 people total – 50 in a control group, and 50 in the “herbal” group who received a 400 mg dose of the blend twice daily. All study participants were placed on a 2,000 calorie diet, and instructed to walk for 30 minutes 5 times a week. The placebo group lost an average of 3.3 pounds and 6 centimeters around their waists. The herbal group lost an average of 8 pounds more than that (11.4 pounds); and took nearly 6 cm more off their waists than the placebo group. That’s over 2 months, remember. How Scientifically Sound are these Studies? Can I Trust Them? I asked Elissa Lowe, our scientific and technical adviser to take a closer look. Elissa’s a trained food scientist and a former research associate at the University of California at Davis (you can look her up on Pubmed if you like) so she’s well qualified to comment on such things. There are some real strengths to this study. I’m impressed with Judith Stern’s involvement and oversight. Dr. Stern is an emeritus professor at my alma mater and has an impressive research record. I also like the fact that food was provided to the subjects, which helped to eliminate problems involved with dietary recall, portion control and variations in diet composition. Finally, the program the subjects were on was comparatively painless, which no doubt helped with compliance. They did not measure body composition, so the amount of actual fat lost is difficult to quantify. The total weight loss in the herbal group is good, but not amazing – or even unusual. Eleven+ pounds in 8 weeks averages out to (roughly) 1/1/2 pounds/week – a fairly typical rate for a solid diet/exercise program. The study, like most of ‘em, is short term… while it’s tempting to extrapolate, it may also be inaccurate to do so. Note that the subjects went from obese… to somewhat lighter-but-still-obese (on average a 4.6% loss of body weight). From a public health outcome, this is great (see this article for more), but not exactly “bikini body” stuff. This is hardly surprising for such a short study, but it’s weak support, at best, for (potential) product claims of idealized, dramatic weight/fat loss. Yes, it does appear to work. But the weight loss is slow, steady and well within what is normally expected when adopting any sensible diet and exercise program. As he often does, Oz conducted a little study of his own to verify the results of this plant / fruit blend. He put 30 audience members on the supplement for two weeks. He instructed them to stick to a 2,000 calorie diet and to walk 30 minutes per day, in essence mimicking the study’s methodology. Except for one thing. There was no control group. In the clip that I saw, study participants reported losing anywhere from 3 pounds to 7 pounds in the 2 week study. Those results are much more dramatic than those obtained in the published 8-week double blind studies I referenced earlier. Because we’re not comparing to the results obtained by Oz’s group to those obtained by a “control group”. If Oz had also taken another group of 30 audience members, given them a placebo instead of Meratrim™, and instructed them to stick to a 2,000 calorie diet and walk 30 minutes a day, you can bet that a large percentage of those people would have lost weight too, simply because they implementing a moderate diet and exercise program. An accurate assessment of Meratrim™’s effects would have been to compare the results obtained between the two groups and determine the difference – like the peer-reviewed clinical study does. But Oz doesn’t do this, which makes the results appear much more dramatic. It also steers you away from the conclusion that perhaps diet and exercise were responsible for the majority of the results. 7 lbs of weight loss in two weeks doesn’t sound nearly as impressive if you were able to determine that people implementing the same protocol without Meratrim™ lost 5 pounds, right? In short, toss the results of Oz’s impromptu study in the trash, and instead, put your faith in the one I referenced earlier. What are Real People Saying about Meratrim? Testimonials? User feedback and Reviews? Actually, people are not saying much. Contrary to what you heard from the folks on the Oz show, real, everyday people do not seem to be overwhelmed by this stuff. Sure, testimonials are anecdotal and don’t mean much on their own, but they are a good place to start looking for trends. And in this case, the trends do not look fantastic. Of course, the reported results are also entirely in keeping in what I would expect to see from people who tried Meratrim™, but did not at the same time adopt a similar a diet and exercise plan as the one implemented in the study. Clearly the product helps, but only when implemented with proper and exercise, and even then, we’re not talking about weight loss miracles here. So no diet, no exerice… no results. At the end of the day, is Meratrim™ worth experimenting with? Study participants were on a moderate diet and exercise program and you will have to incorporate the same to duplicate the results. The results are not miraculous. While the positive peer-reviewed studies conducted with 60 and 100 people is good news, it’s not like there are reams of scientific data validating the effectiveness of this product. This is very preliminary data. Further studies may not duplicate these conclusions. Testimonials for Meratrim™-based products are not exactly earth shattering. … then I don’t see why not. It’s affordable enough, and it appears to be a safe product. Just make sure you’re getting a product that contains a proper dose; 400 mg of Meratrim™ twice daily. Interested in other “featured on Dr. Oz” product reviews? Awesome. We’ve got a bunch. Click here for the Yacon syrup review, and click here for the garcinia cambogia review! Good article. The “review” by Dr. Oz is typical of the average snake-oil salesmen you often hear on early Sunday-morning “public service” informercials, where they tend to lean towards the dramatic. The only difference here is Dr. Oz is on TV instead of radio, which has a much broader audience base. However, snake oil is snake oil, regardless of who’s peddling it. I like Dr. Oz, even if his “miracle diets & diet pills” don’t produce dramatic weight loss overnight, as most of us would like, he still emphasizes healthy diet and exercise programs, hence he often has a celebrity trainer demonstrating new fitness techniques and eating plans. I can also add that at least he’s trying to find the solution to our country’s overweight and obesity problems by looking into the old remedies and the newest discoveries that may make a change. The only problem is most people don’t want to invest the time or effort it takes to get their bodies into shape. The want something that will do the work for them. Case in point, I have friends who will go out and buy the first diet supplement discovery advertised on the Dr. Oz, by Dr. Oz and after a few weeks, complain that the product did not work. Well, if you got off your arse and worked out, maybe the supplement would have a chance to work. Who knows? I was watching an episode of the Housewives of Atlanta, and stared in awe, as Kim Zoziak laid on a table and ate a loaded slice of pizza while getting fatloss laser procedure done simultaneously. Really? When you see here now, she’s just had a total lipo, breast lift, tummy tuck, etc. NO ONE WANTS TO WORK OUT. THEY WANT THE PRODUCT TO DO ALL OF THE WORK FOR THEM. Instant gratification. If it actually worked, I’d do it, but I know better. Anyway, until we or Dr. Oz truly finds the holy grail of weightloss miracles, I’ll stick to a clean eating lifestyle and work out. Rosie, we don’t sell products. Please contact your retailer.